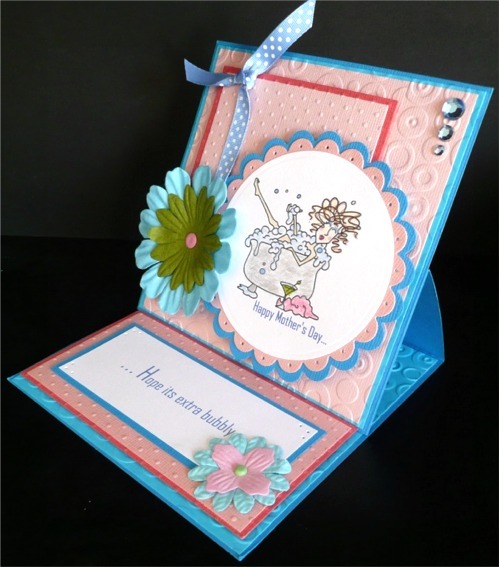 Below are some of the various styles of cards and crafts you will see on my website. 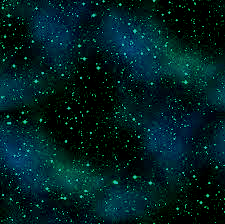 These are just some of the different styles that I make. 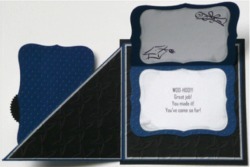 When you order a card, it is usually possible to customize the inside, outside or back text. If you have something special to say, simply type your text in the Special Instructions area of the Shopping Cart for the card you want to change. Keep in mind the size of the area you are changing and remember that fonts may vary depending on how the card is created. Multi-layer card showing attached flower. Shutter Cards fold out and stand on their own for a beautiful presentation. 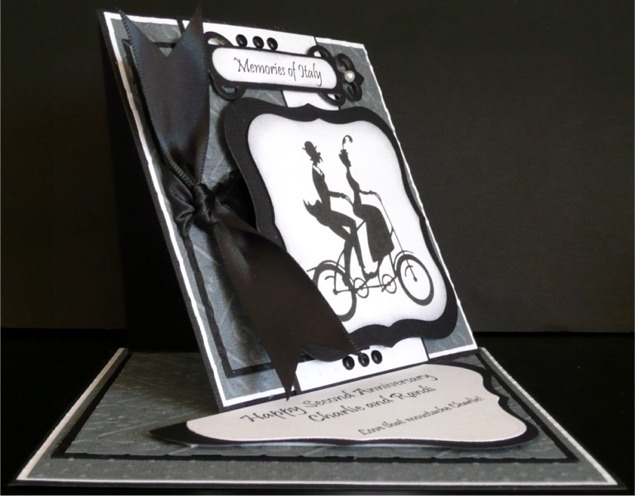 Easel Cards stand on their own can be folded down flat for shipping. They can be displayed upright without requiring a wall to lean on. Twisting Easel Cards are similar to the standard Easel Card but with an added twist. When positioning the card in the easel position, twist it to one side to lock it into the easel position. 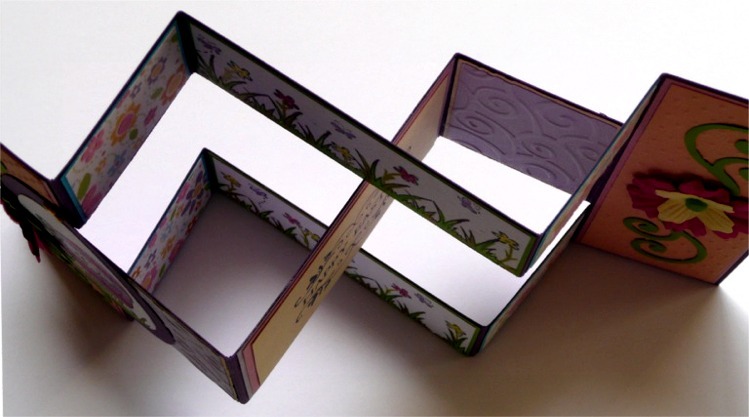 These stand on their own and can be folded down flat for shipping. They can be displayed upright without requiring a wall to lean on. 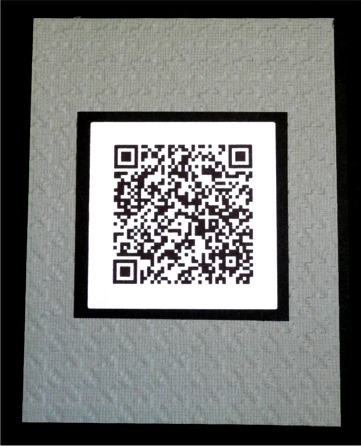 A QR Code is a two-dimensional barcode that is readable by smart phones. When you order this card, enter the text you would like the QR Code to contain in the Special Instructions of the Shopping Cart. I will generate the QR Code for the text you have entered. 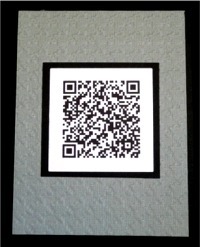 When the person receives their card, they must use their smart phone to read the QR Code an view your special message. Folding Cards open to reveal an inner message or additional artwork as well as a location for you to personally sign your card. 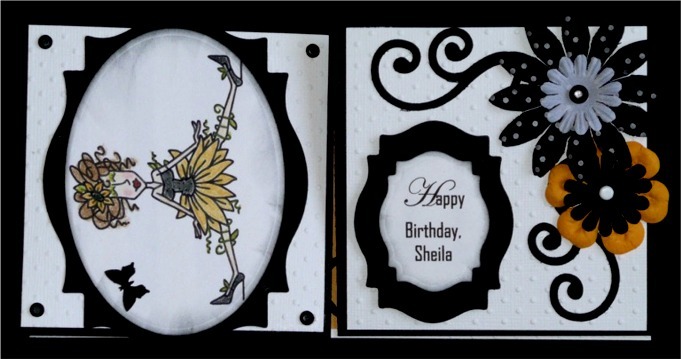 Multi-Easel Cards contain two or more easel features. Some combine a twisting easel with a standard easel and more.